The magic of a good book can leave you spellbound, just as young Ted was captured in this expressive bronze. 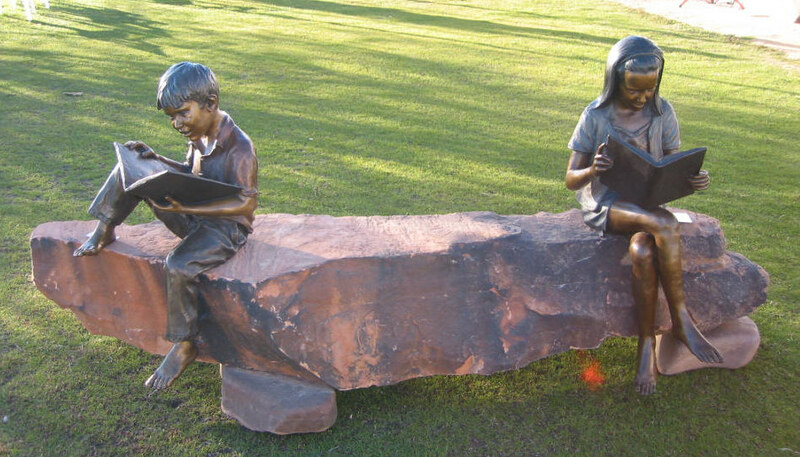 This piece is at home inside or outside, at a library or at a school. It is among the permanent public installations of the Eddyville Public Library, Eddyville, Iowa; and Cleary University, Ann Arbor, Michigan.